Facial masks play a very big part in my skincare routine. 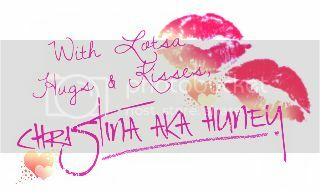 I do them every alternate day to replenish nutrition, moisture as well as firming my skin. Packaging plays a part in my selection, but also the ingredients and effectiveness play a part too! 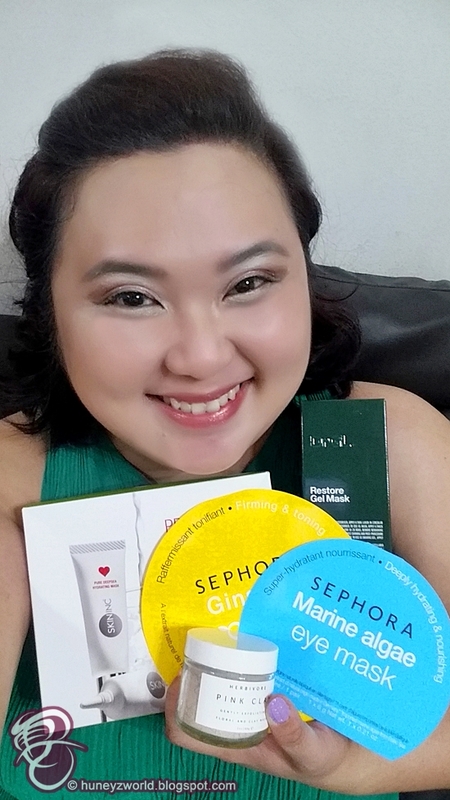 I've recently selected a few masks from Sephora to try out - DrGL Restore Gel Mask , Skin Inc Prep & Seal Starter Kit , Herbivore Botanicals - Pink Clay Exfoliating Mask , SEPHORA Collection Eye Masks Mono - Marine Algae and SEPHORA Collection Ginseng Therapy Mask. Before we head into the reviews, first things first, make sure you cleanse your face and prep your skin to absorb all the goodness of the masks. 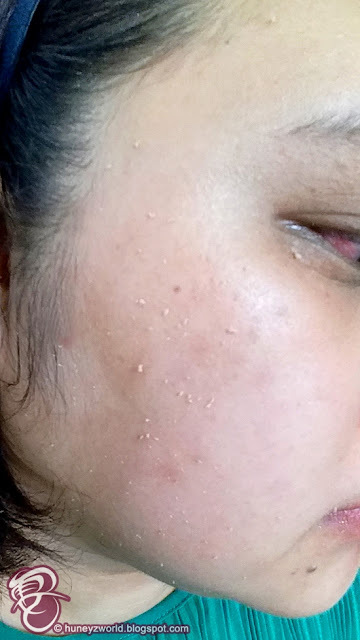 What I would normally do, is to fully remove my makeup, then cleanse and exfoliate my face, before taking a hot shower or cover my face with a warm towel for 10 minutes. These steps will ensure that the skin is clean, removed of any dead skin cells and open up your pores, so that your skin can fully absorb the mask essence better. 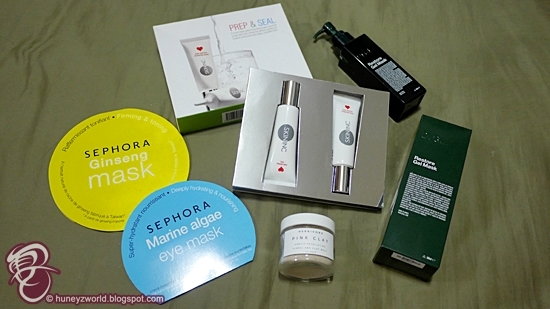 First up, I'll introduce the SEPHORA Collection Masks. 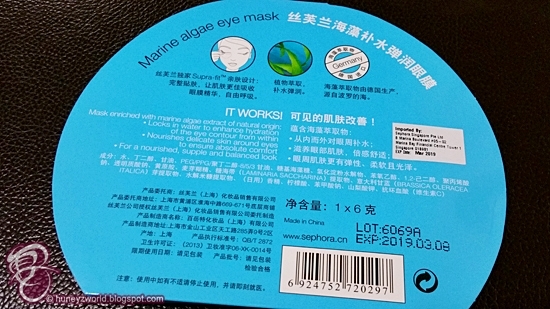 I've got the Marine Algae Eye Mask and Ginseng Mask. All these late night blogging have given me terrible dark circles thus I've chosen the most hydrating and nourishing eye mask out of their range. 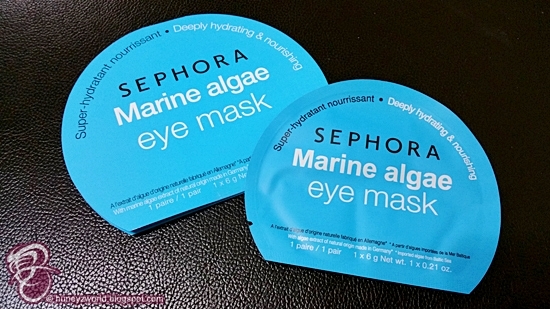 SEPHORA Collection Eye Masks Mono - Marine Algae (SGD $3). 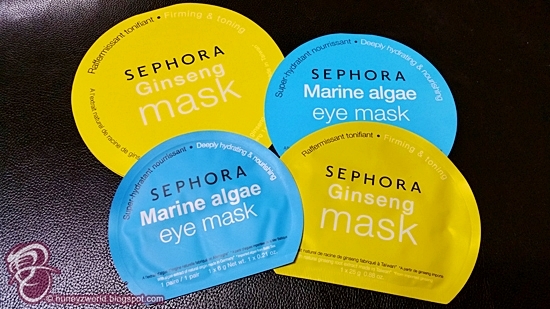 It's pretty rare to see marine algae being used in masks and this one found in the SEPHORA eye mask is imported from Baltic Sea which helps lock in water to enhance hydration and nourish the skin around the eyes. The mask is made with Supra-fit material so that the mask can rest well on your eye contour comfortably, allow the essence to be fully absorbed while letting the skin breathe easily under the mask. What I like is the curvature of the eye mask. 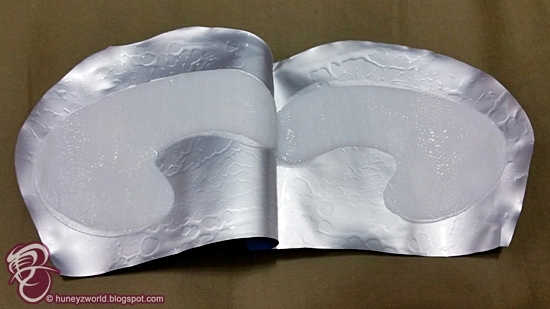 Unlike those U-shaped eye masks out there, this lengthy C-Curve mask fits easily under my eyes, reaching almost to my temples, so that the whole area around my eye can get nourished too. 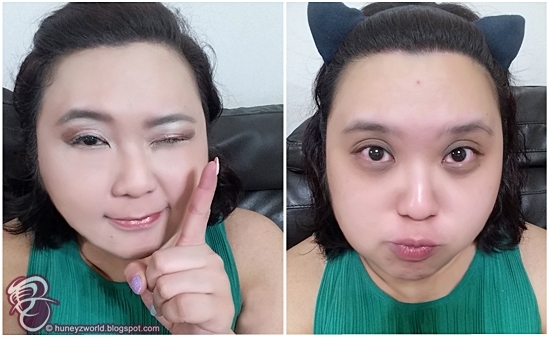 After applying the masks for 20 minutes, I can see some improvements to the fine lines under the eye. 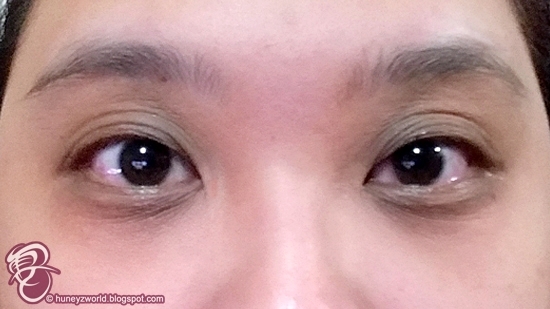 I feel that my under eye feel more puffed up and more supple, but the dark circles are not so lightened though. 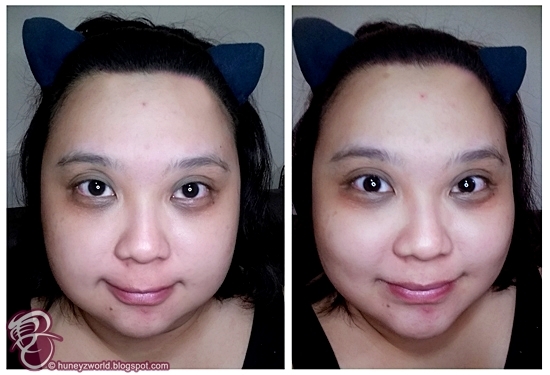 I think this mask would work better for those with fine lines issue around the eyes. It's advised to use it 2-3 times a week. 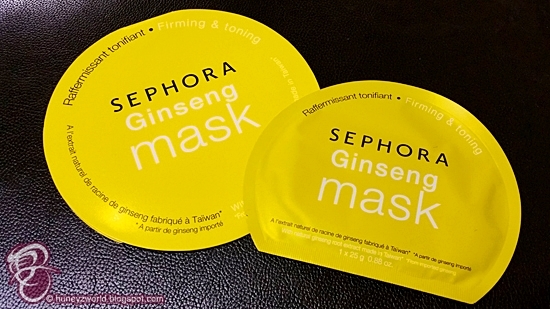 Next is the SEPHORA Collection Ginseng Mask. I've always wanted to try these face masks, seeing them in stores. 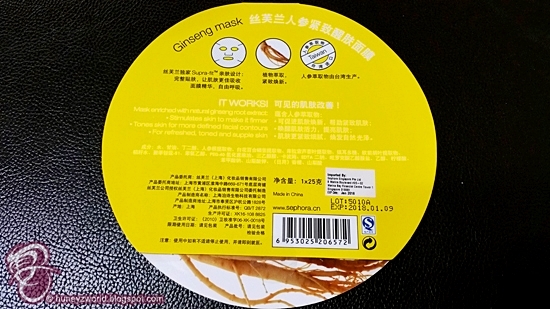 The one that I've chosen is the bright yellow Ginseng mask. 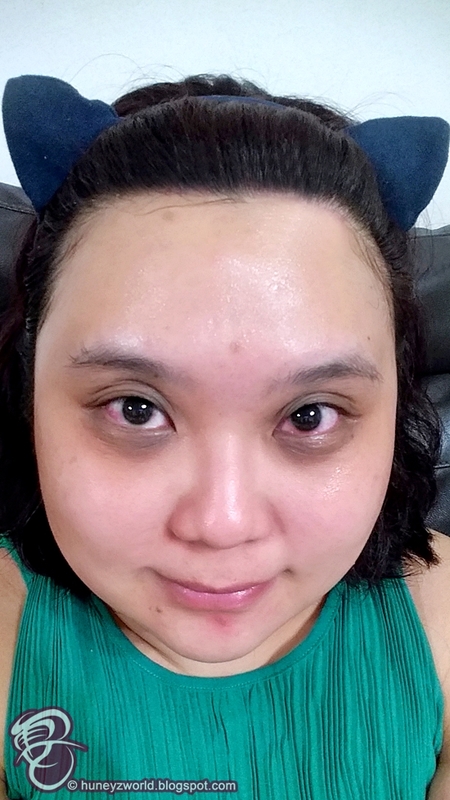 Ginseng has been known to provide energy boosts, reduce stress and promote relaxation, thus my selection for my tired skin. 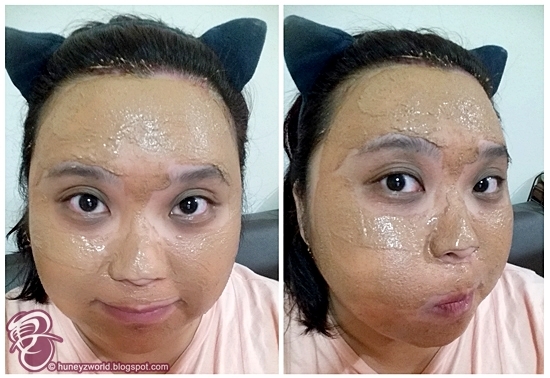 But seeing the packaging, it says the mask is for firming and toning, I knew I had to try it! 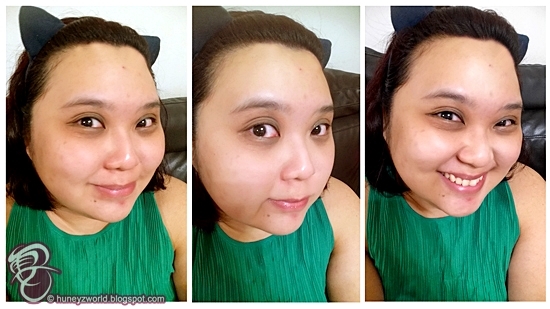 After using the mask, I feel recharged and my skin feels tighter, and looking at the picture comparison above, I feel that my skin is more lifted and my V-shape face seemed more prominent. I highly recommend this mask and I think it's good for mornings, before going to work! 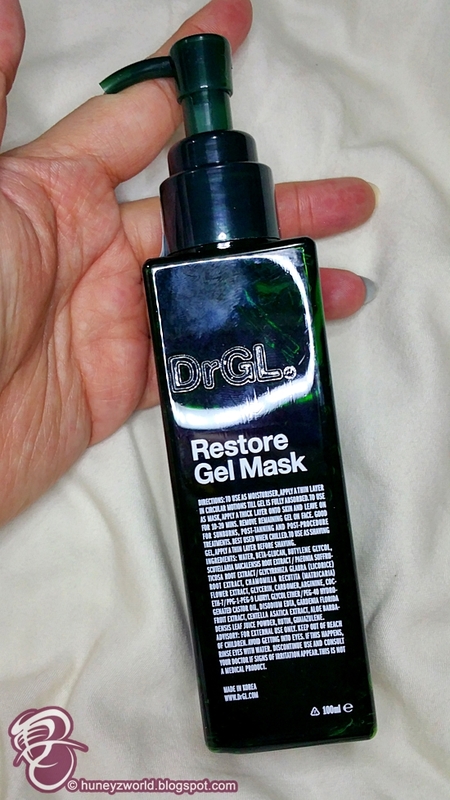 The next one is the DrGL Restore Gel Mask. If you are a 'Gudetama' like me, always on the lookout for multi-function products, this is one to have. Not only does it work as a moisturizer, it is also a facial mask and shaving gel! DrGL is a range of skin care products by Dr. Georgia Lee and this gel works best for those who might have gone to her for facial procedures or if not it's also good for those of you who are always under the sun or love tanning. It comes in a plastic bottle with a pump dispenser shown on the picture above, it can also be 'locked' so that you can bring the product overseas without it spilling all over in your luggage. Packed with healing botanicals (including Gardenia Florida Extract and Scutellaria Baicalensis Root Extract to heal skin with its antioxidant, anti-inflammatory and antibacterial powers, together with Guaiazulene extract to help counteract redness), this blue restorative gel feels cool to the skin and it helps with skin redness and dryness. 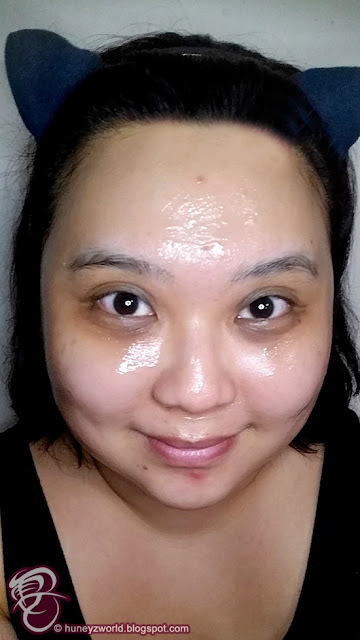 When I used it as a moisturizer (thin layer), the product is immediately absorbed into the skin and to use it as a mask, you just need to pump out more of the product to apply a thick layer onto your skin and leave it on for 10-20 mins. The instructions said that the gel works best when chilled, but even without putting it in the fridge, it already feels cool. I love using it in the morning, as it gives me an immediate 'morning call'! 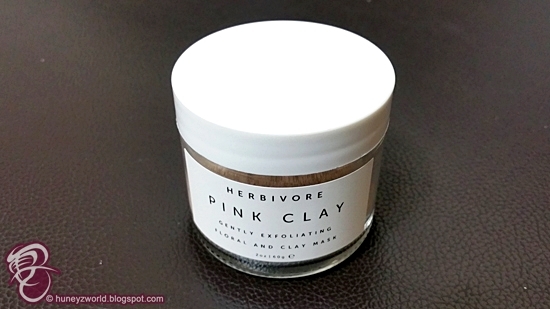 I've also gotten the Herbivore Botanicals Pink Clay Exfoliating Mask to try, it can exfoliate the skin softly whilst rejuvenating and soothing the skin. 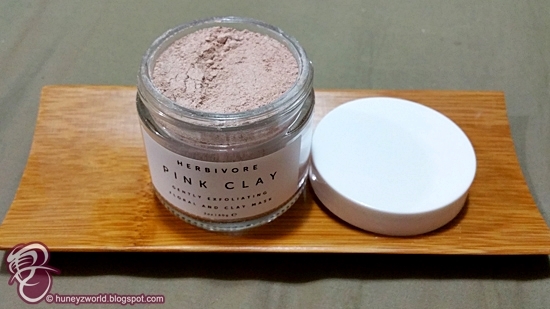 The Pink Clay Exfoliating Mask contains French pink clay, rosehip oil and chamomile flowers. 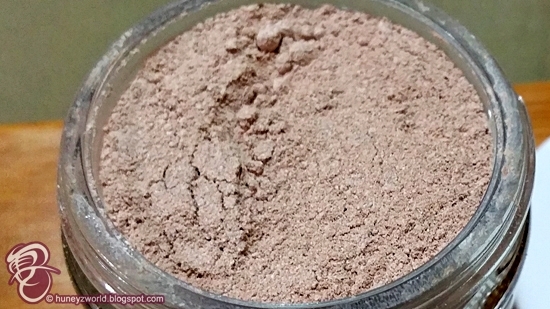 French pink clay kickstarts cell renewal and improves skin’s elasticity. Rosehip, from the fruit of the wild rose plant, is naturally rich in essential fatty acids to repair damaged tissue and prevent premature aging, while chamomile flowers are naturally anti-inflammatory for a soothing, de-puffing experience. 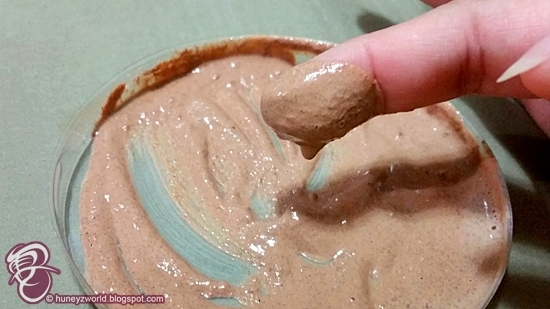 When I opened the tub, I was hoping to find a floral fragrance, but sadly, it's a weird clay-mud kinda smell, I wasn't very thrilled about it though. As it is in a powder form, you will need to gather a few 'props' on your own, as you need a surface as well as a spatula to blend the powder with water before applying on your face. I would suggest adding the water bit by bit as you wouldn't want the mixture to be too watery. 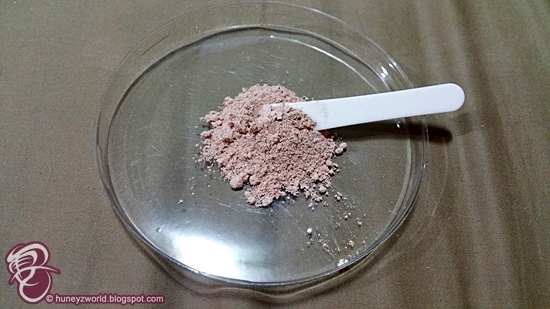 After mixing up the powder with water, you will get a mud like colour mixture with little sand bits which will act as exfoliant when you wash off the mask. 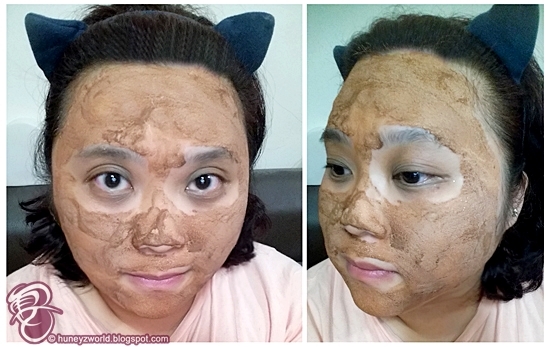 You can choose to use a brush or just your fingers to apply the mask to your face. It is advised to apply in upward circles. 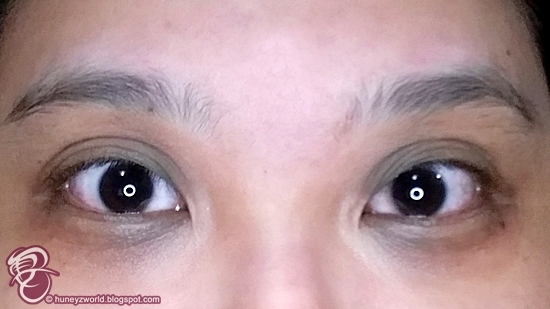 Above shows how it looks when I applied the mask on my face, I tried doing the upward circles motion, but it was really such a messy feat, in the end I just slapped it on my face. Below shows how it is when the mask is drying. Lastly, the Skin Inc Prep & Seal Starter Kit. 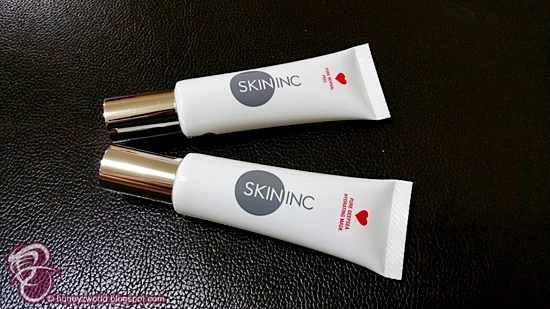 There are 2 tubes inside the kit, one is the Pure Revival Peel and the other is Pure Deepsea Hydrating Mask. Each only at 20ml, good for testing out the products before buying the actual ones. So anyways, step 1 is to use the Pure Revival Peel (PREP) to remove those dullness causing dead skin cells, dirt and clogged pores. 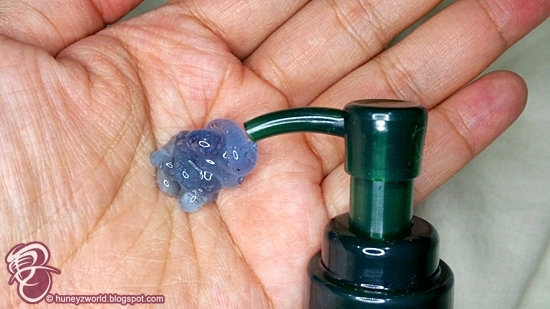 All you need to do is to apply the clear gel on your clean dry skin directly, then massage in circular motions gently when the solution turns milky. You will see these dead keratin bits appearing on your skin as you rub, thus exfoliating the skin. 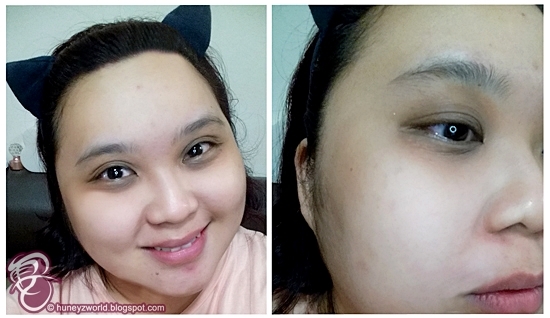 After I wash it off with warm water, my skin feels baby skin smooth! 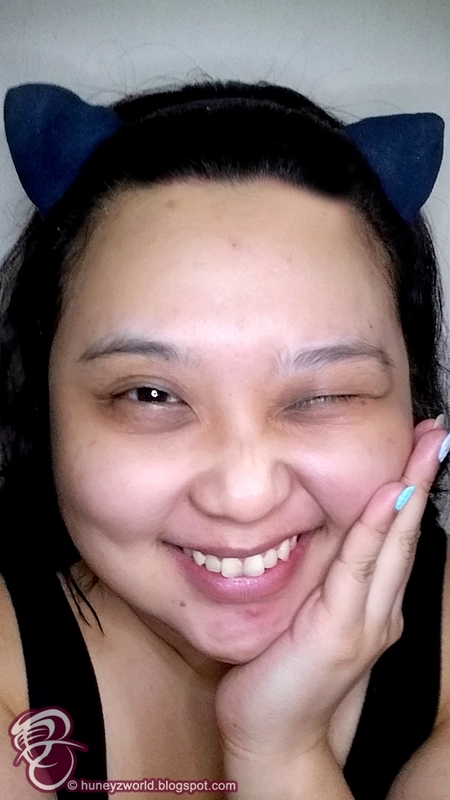 My skin has never felt that smooth before (not even with those pore refining primer) and I am super in love with that effect. I would definitely be getting the bigger 100ml bottle next. 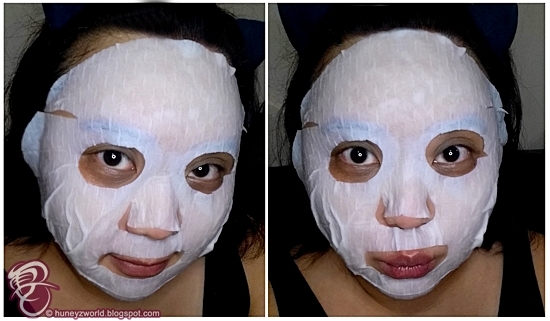 Step 2 is to apply the Pure Deepsea Hydrating Mask (SEAL). Same as the peel, it is also a transparent gel, so make sure you read the label before applying. This mask contains nutrient-rich Okinawa deepsea water, Soybean extract and Hyaluronic Acid to give you dewy looking skin. So, there you have it, above are my reviews for the 5 masks that I've selected. Of course, there's much much more in Sephora to match your facial needs and probably gives you can other idea when selecting for Christmas gifts.